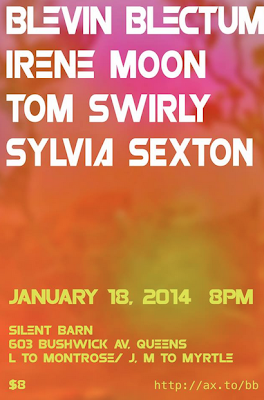 Performing Saturday January 18 at Silent Barn. Show times: 800p.m. - midnight. 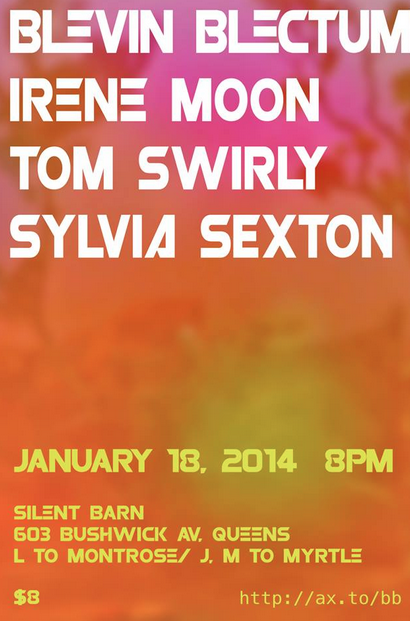 I will be performing with Yon Visell that evening. ... Tom Swirly: ....... .